BACKLASH GROWS OVER STATE HEALTH PLAN, AG CALLS IT A "HUGE DEAL"
JANUARY 19, 2018: Thursday, the state’s Group Insurance Commission (GIC) shocked enrollees by voting to drop Harvard Pilgrim Healthcare and Fallon as providers. 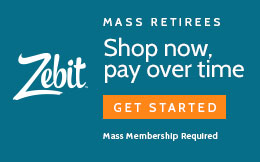 The move also relegates Tufts to a Medicare Supplement and Medicare Advantage plans only. All changes take effect on July 1, 2018 with the start of the new fiscal year. JANAURY 5, 2018: Responding to calls for increased transparency and openness to public input, the state’s Group Insurance Commission (GIC) announced a series of public hearings for the month of January. A total of seven public hearings will take place across Massachusetts between Friday, January 19th and Monday, January 29th. Several employee and retiree advocates spoke out on Tuesday against an Andover representative's bill that would majorly shake up the way Massachusetts calculates pensions for its workers. JULY 7, 2017: After more than a month of negotiations, House and Senate budget conferees have struck a deal on the Fiscal 2018 State Budget. Both branches of the legislature are expected to approve the Conference Report today. 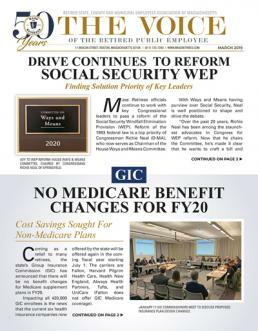 JULY 7, 2017: Retirees who have fallen victim to Social Security’s dreaded offset laws remain anxious for news of progress on federal reform legislation now pending before Congress. JULY 6, 2017: Mass Retirees officials are closely monitoring developments on Beacon Hill, where House and Senate Conferees continue to negotiate the final details of the Fiscal Year 2018 State Budget.